Guangzhou Little Women's Underwear Co., Ltd. is a wholly-owned subsidiary of Taiwan's Little Women's Underwear Group, established in mainland China. Founded in 1971 (ie, the Republic of China 60 years), after more than 30 years of operation, the Group of Small Women's Underwear Enterprises has developed into a Hsinchu Industrial Park in Taipei, China covering an area of â€‹â€‹more than 300 acres and employs more than 2,800 The annual output value of more than 20 billion NT) large multinational modern enterprise group. Group of "rooted in Taiwan, embracing Divine, the world's" business development. Since her birth, the Little Women's Enterprise has been relying on the cultural background of her novel "Little Woman" and has been known as "Perfection," "Confidence," "Trend," and "Fashion" pursued by the protagonist "Joe." International brand, and quickly became the fashion favorite of the majority of women's fashion. Today, the small business women have been facing the diversification of development, in the small woman underwear, swimwear, corsets, breast-feeding underwear, home wear, pajamas and other based on the development of a small woman clothing industry, Industry, a small woman cosmetics, a small woman shoes, women's bags and other small series industry. After decades of pioneering, the company has established offices in more than 30 countries and regions and has successfully developed into a multinational and modern enterprise group. 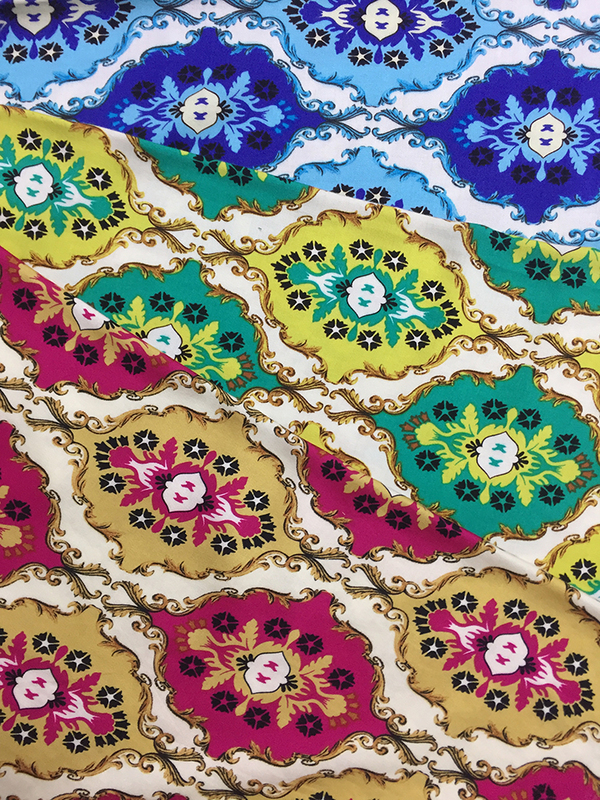 Rayon Satin Fabric is so gorgeous, and has a soft hand finish that is perfect for shirts, blouses, Pants, Dresses, and all kind of Garment, Home Textiles, and home and event decor projects. This luxurious fabric has a beautiful drape effect ideal for home decor. First quality fabric at wholesale price-order by the yard (whole yards only). Click on image to enlarge.